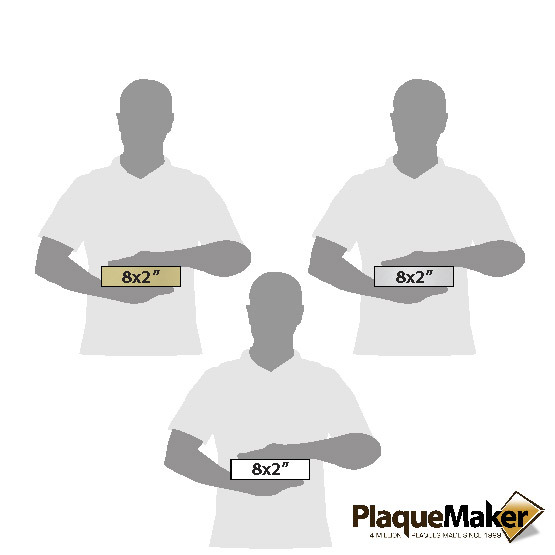 Fast Delivery Name Plates, Same Day Name Plates from PlqueMaker. Ships Today: Office Name Plates - 8"x2"
This product is expected to ship on Monday, April 22 if you place your order within the next 4 hours and 24 minutes. 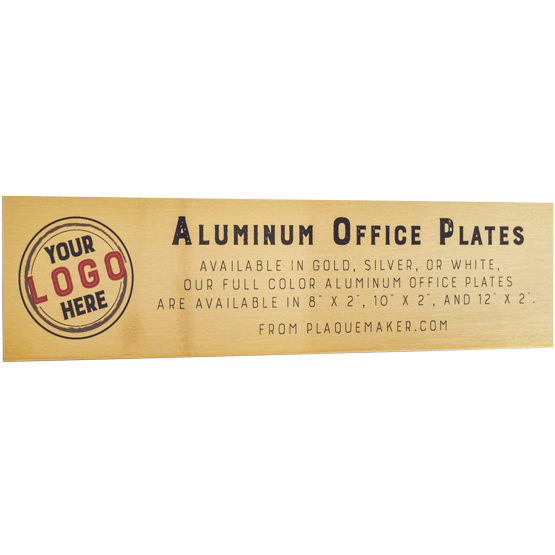 Create custom color printed aluminum door name plates at PlaqueMaker. Submit your order form by 10am EST today and you'll receive your proof by noon today. Approve the proof by 1pm EST and it will ship the same day. Please note that free shipping can take up to ten days. For faster delivery, please upgrade shipping. Valid during normal business days with regular operational hours. 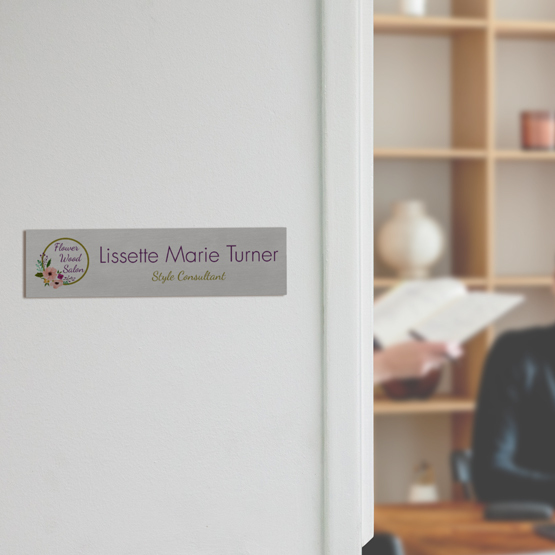 Spruce up the walls or doors of your office space with our custom plates. Our plates will look sensational in your business, church, school, museum, and more! Overall Size: 8 x 2"
Personalization Area: 7 1/2 x 1 1/2"
Production Time: Ships today for orders submitted by 10 am EST, and proof approved by 1pm EST. Any proof approved after 1pm EST will ship next day.